Paramore have announced they will be releasing a new version of "Hate To See Your Heart Break" featuring Joy Williams of The Civil Wars. 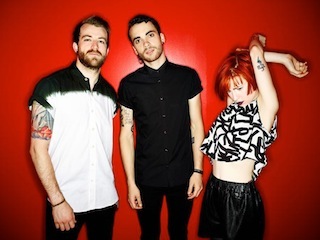 The track will appear on the band's upcoming deluxe edition of their 2013 self-titled album that drops November 24th. A message from vocalist Hayley Williams confirming the news can be found below.